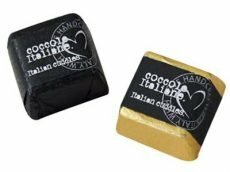 Famous Piedmontese chocolate made of a delicious blend of fine dark and milk chocolate and a special hazelnut paste, wrapped in gold tinfoil and closed with paper band. 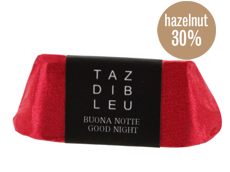 With its traditional triangular shape, this chocolate stands out for its particular taste thanks to 30% hazelnut paste. 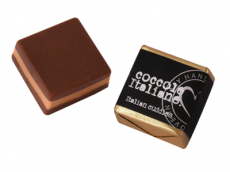 Hazelnut chocolate “Cremino” (mm. 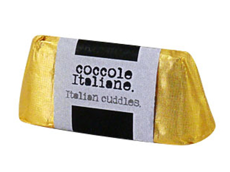 28x28x14), wrapped in gold tinfoil and closed with paper band. 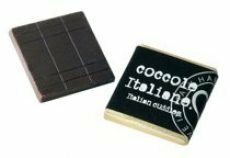 Dark or milk chocolate (mm. 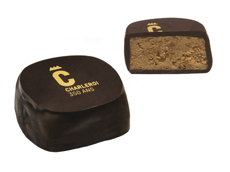 33×33), wrapped in gold tinfoil and closed with paper band. 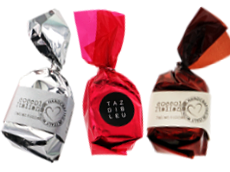 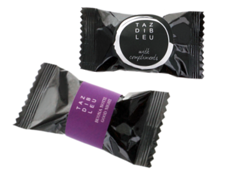 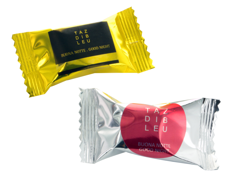 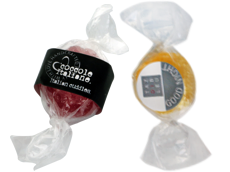 Classic, capuccino, licorice-flavoured, chocolate truffles with paper band or adhesive label. 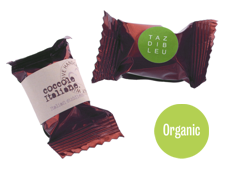 Organic chocolate truffle with hazelnut chops, with paper band or adhesive label. 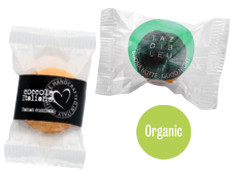 Organic Amaretto, soft almond biscuit with paper band or adhesive label. 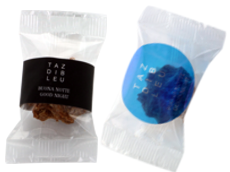 Personalized pralines filled with Gianduja chocolate. 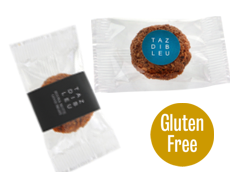 Classic, coffee, blueberry-flavoured soft almond biscuits. 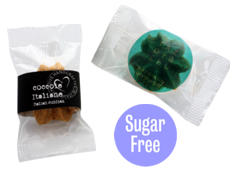 Cornmeal and ginger biscuits with paper band or adhesive label. 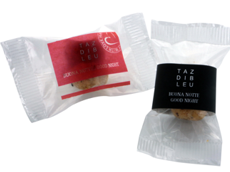 Rice, coconut and cinnamon biscuits with paper band or adhesive label. 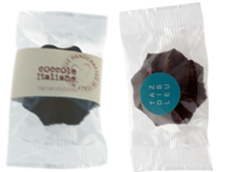 Hazelnut and chocolate biscuits with paper band or adhesive label. 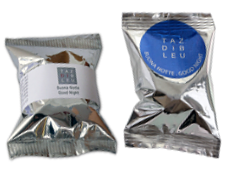 Hazelnut biscuit with paper band or adhesive label. 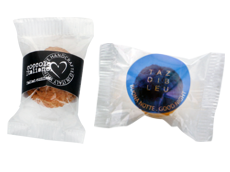 Bacio di dama with paper band or adhesive label. 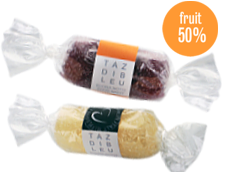 Fruit jellies with paper band or adhesive label.